Art of Problem Solving was founded by Richard Rusczyk in 2003 to create interactive educational opportunities for avid math students. Richard is the author or a co-author of 7 AoPS textbooks and a past Director of the USA Mathematical Talent Search. 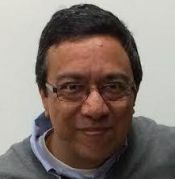 He was a participant in National MATHCOUNTS, a three-time participant in the Math Olympiad Summer Program, and a USA Mathematical Olympiad winner (1989). He received the World Federation of National Mathematics Competitions Paul Erdös Award in 2014. He graduated from Princeton University in 1993, and worked as a bond trader for D.E. Shaw & Company for four years. AoPS marks Richard's return to his vocation - educating motivated students. Glen Dawson is the National Director of AoPS Academy. In 2014, Glen founded a learning center in Morrisville, North Carolina, that two years later became the first AoPS Academy campus. 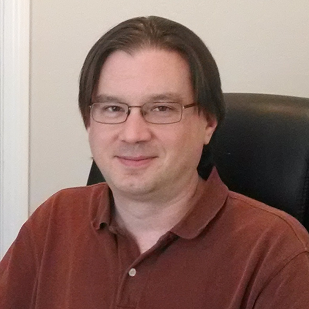 He has experience as a college math professor, statistician, and expert SAS programmer. He has been a professional math tutor for many years, and specializes in training academically-advanced and high-performing math students. Glen is a graduate of Duke University and holds a graduate degree in statistics from Boston University. Dave joined AoPS in 2004. He is the author or a co-author of 4 AoPS textbooks. 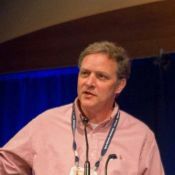 Dave earned the sole perfect score on the American High School Mathematics Examination (AHSME) in 1988 and was a USA Mathematical Olympiad winner that year. 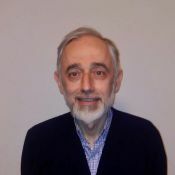 He attended the Research Science Institute (RSI) in 1987, and the Math Olympiad Summer Program in 1988, where he first met fellow student Richard Rusczyk. He also finished in the top 10 on the Putnam exam in 1991. Dave graduated from Carnegie Mellon in 1992 with a BS in Mathematics/Computer Science and an MS in Mathematics. He went on to earn his Ph.D. in mathematics from MIT in 1997. He was an acting Assistant Professor at the University of Washington from 1997 to 2001. Dave is originally from Western New York and is an alumnus of the SUNY Buffalo Gifted Math Program. Interested in joining our team? Click here to learn more! Mark is the Campus Director for AoPS Academy Gaithersburg. He holds a BS in mathematics from the University of Houston at Victoria and an ME in educational leadership and administration from the University of Massachusetts Lowell. 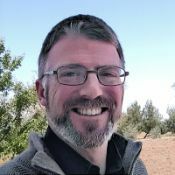 He has worked at schools in the US, China, Hong Kong, and Jordan, teaching a broad range of rigorous math and computer science courses and leading both mathematics and technology departments. 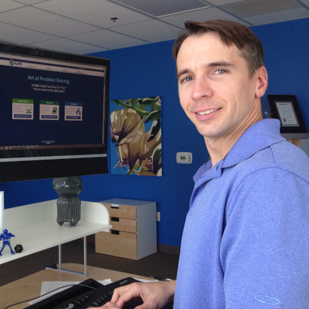 Mark enjoys sharing his passion for math and technology through active, student-centered, and inquiry-based pedagogy. In his spare time, Mark likes to tinker: on his computer with web design, in his workshop with tools, and making music with various instruments. Anatole is the Assistant Director for AoPS Academy Gaithersburg. Having earned an IB Diploma in high school, he went on to pursue a dual BA from Vassar College in mathematics and Chinese. He has been passionate about the exploration of math since he was 13, when he accidentally derived the quadratic formula and realized math was more about logic than numbers. Anatole was the only member of his math competition team to place 3 times at the San Diego Math Field Day. His varied interests have led him to jobs in investor relations, veterinary medicine, daycare, and comedy, but the siren call of math education has always brought him back. Anatole has taught diverse math students in Beijing, New York, and San Diego. He speaks French, Mandarin, and Spanish, and doodles Fibonacci spirals to relax. Lisa is the Language Arts Department Chair for AoPS Academy Gaithersburg. 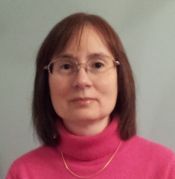 Lisa has more than 16 years’ experience developing and delivering academic writing courses. 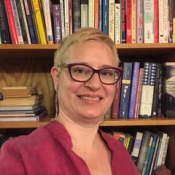 Her areas of expertise include developmental English, basic and advanced composition, technical writing, business writing, and creative writing for students from middle school through graduate school. She is also a playwright whose work has been produced in Washington, D.C. and New York City. Lisa has an MA in fiction writing from The Johns Hopkins University and a BS in journalism from the University of Maryland, College Park. Tedra has been teaching students of all ages for 20 years. She holds a PhD in English from the University of Washington, an MA from the University of Nebraska, and a BA from Washington University in St. Louis. She’s been a college professor, writer, editor, and full-time mom and has published on topics including eighteenth-century periodicals, twenty-first-century parenting, gifted education, and learning disabilities. Tedra first became acquainted with the Art of Problem Solving as a parent, when her then-middle-school son took an AoPS Online Algebra course. In her free time, she likes hiking, cooking, knitting, and silly cat videos. Jonathon has spent ten years working in various locations teaching mathematics to many diverse students. 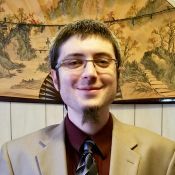 He has spent most of this time working for the Community College of Baltimore County as an adjunct Professor of Mathematics and Baltimore County Public Schools as a math teacher. He currently holds a Bachelor's degree from Goucher College in mathematics and is working toward his Master's degree. He thoroughly enjoys the field of teaching and working with the kids at AoPS Academy Gaithersburg. Charles teaches language arts at AoPS Academy Gaithersburg. He holds a BA in English education and an MA in English from the State University College of New York at Fredonia. Charles has taught in Maryland and New York for more than twenty years. Outside the classroom, he loves reading, listening to music, watching and playing almost any sport, and spending time with his family. Jasper joined AoPS Academy in 2017. Both her bachelor’s and master’s degrees deal with reading specialization in the elementary grades. She has been an educator for the past 15 years: 13 years with Montgomery County Public Schools and 2 years with Okaloosa County in Destin, FL. In 2015, Jasper worked as a reading interventionist for Florida Center for Reading Research (FCRR). Since then, she has continued to pursue opportunities that allow her to practice her specialization in reading diagnostics. She currently serves as a reading specialist in the public school system. In her spare time, Jasper loves to read anything suspenseful or quirky, and she shares this love with her monthly book club. She looks forward to instilling a love of reading in her AoPS Academy students! Jean has a BA in theater from the University of North Carolina at Chapel Hill and an MA and PhD in folklore from Indiana University. She has more than 20 years of teaching experience and is an adjunct professor at both The George Washington University and Montgomery College. She is also a writer whose work has appeared in The New York Times, The Washington Post, the Journal of American Folklore, and other publications. Her latest book, Peggy Seeger: A Life of Music, Love, and Politics, is a biography of the acclaimed American-British folk musician. Mark is a retired earth scientist from NASA’s Goddard Space Flight Center and Goddard Institute for Space Studies. At GSFC, he researched the Earth’s atmosphere and climate variability, designed and built state-of-the-art models for Numerical Weather Prediction and Climate Simulation, and lectured in outreach programs as a NASA “Ambassador." Mark holds a BS in mathematics from MIT and a PhD in applied mathematics from Cornell University. 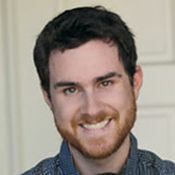 Mark has taught mathematics and earth science at several universities, and currently is a substitute math and science teacher within the Montgomery County Public School System. He also works as a scientific consultant and independent scientific and technical editor. Alessandra is an astrophysicist by training, with a PhD in physics from the University of Milan. She has over 15 years of experience teaching mathematics at several local schools. 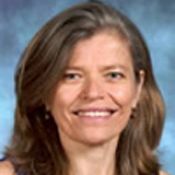 She was Director of the Mathematics department at Green Hedges School in Vienna, VA for over 7 years, and currently teaches middle and high school level mathematics at Holton-Arms School in Bethesda. 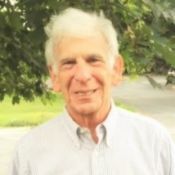 Dr. Klinger learned to love good math teaching as a student at Brooklyn Technical High School, where he got to be in classes with Mr. Glaubiger, Dr. Rich, and Mr. Klein. Dr. Klinger later earned a PhD in physics at Cornell, worked at the Fermi National Accelerator Lab for a few years, and spent the rest of his career developing aircraft software. Now retired from full-time work, Dr. Klinger still enjoys using the math that he learned in high school. After finding out about the math curriculum offered at AoPS Academy Gaithersburg, he leapt at the opportunity to be a part of this program. 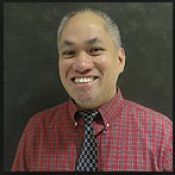 Gil has twenty years of teaching experience in mathematics in both public and private schools. He has a BSE and a BS in mathematics with specialization in actuarial science and statistics from De La Salle University, Manila. Gil has coached many students for various math and robotics competitions, including the team that won the 2017 Robotics Skills and Team Awards in Washington, DC. Su has loved math ever since she was little and first experienced the joy of solving a problem. 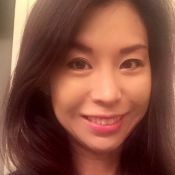 She holds a Bachelor’s degree in electrical engineering from Singapore’s Nanyang Technological University and a Master’s in math education from Western Governors University in Utah. Su has spent the last five years teaching middle and high school math in both public and private schools in Baltimore and Washington, DC. She especially likes discussing problem-solving strategies with her students. In her spare time, Su loves painting, trying out new recipes, and taking long walks in the park. Yvonne O’Neill currently teaches first and second grades and directs the After-Care Program at Gaithersburg's The Avalon School. A graduate of Washington College, Yvonne also holds an MS in public relations from The American University. She has served as a substitute teacher and first-grade teacher assistant at Bethesda's St. Jane de Chantal School. Yvonne began her formal teaching career at Bradley Hills Pre-school and also taught at the Holton Arms Creative Summer Program. She and her husband Tom live in Bethesda with a selection of their sons. In her free time, Yvonne puts her heart and energy into her growing family. Math instructor Ian Parks has been excited about math ever since he can remember. He graduated from the Stevens Institute of Technology in 2009 with a BS in information systems and set out to work in the IT field. But Ian quickly grew disillusioned with the dog-eat-dog corporate sphere and began teaching high school math instead. When he isn’t teaching, Ian loves reading science fiction and fantasy, anime, and gaming. He and his wife have a dog named Einstein, a cat named Chester, and a snake named Ninja. Shahzad has over 10 years of teaching and research experience in using computers to understand and analyze text. After earning his BCS in Pakistan on a merit scholarship at the FAST Institute of Computer Science, Shahzad went on to complete an MS in computer science at Pakistan's National University of Computer and Emerging Sciences. He cares about helping his students build a strong mathematical foundation at a young age because he knows that helping them maintain an interest in mathematics throughout their schooling will maximize their career options. Away from the classroom, Shahzad enjoys playing strategy games and cricket. Phil is a semi-retired research engineer in information science, in the overall business of extracting wisdom from information overload. He specializes in machine learning, natural language processing, data mining, and statistics. Earlier Phil worked for NASA, doing Space Shuttle guidance and control and satellite orbit determination. Phil's teaching experience includes remedial math instruction for college freshmen and volunteering for Mathcounts. Phil is an alumnus of MIT's high school studies program, and has a BA in math from Yale and an MA in applied math from NYU. Math instructor Mike Seablom’s passion for math comes from studying the weather. He has spent the past thirty years deriving numerical algorithms to improve data assimilation for weather prediction and climate forecasting, both for the government and in the private sector. Mike has also derived methods to manipulate and display Earth science data. He holds a BS in meteorology from Florida State University, an MBA in management technology from Georgia Tech, and an MS in atmospheric sciences from Purdue University (where he led the department’s tornado chase team). Laura El Shafei is a life-long learner and educator who brings many years of language education experience to her position as a Language Arts Instructor at AoPS. Having recently returned to the USA after many years living and working internationally, she currently serves as the Student Success Coordinator/Educator at the University of Maryland’s School of Nursing at the Universities at Shady Grove. Previously, Laura served as a US State Department-sponsored English Language Fellow in Algiers, Algeria, and as an academic and research writing instructor at The American University in Cairo, Egypt. She holds an MA in applied linguistics and teaching English to speakers of other languages (TESOL), as well as a graduate degree in public health, or MPH. Laura is also a seasoned registered nurse (RN) and has volunteered for many years with the American Red Cross and refugee services both domestically and abroad. 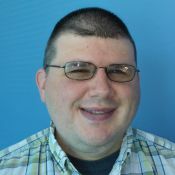 Ben Stone is an experienced high school math teacher who has assisted in many of Art of Problem Solving Online classes, from Prealgebra to Calculus. He also has extensive experience teaching math competition classes. As a high-school student, Ben was a three-time AIME participant and placed second in the Oregon Invitational Math Tournament for high school students. 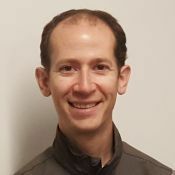 Ben holds a BS in mathematics from Carnegie Mellon University and an MS in mathematics from the University of Washington. Ben also develops elementary-school math content for Art of Problem Solving's Beast Academy Online. 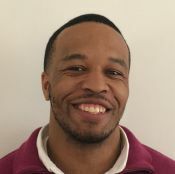 Darius began teaching at AoPS Academy Gaithersburg in 2018. He is adept at motivating students and creating inspiring, yet disciplined, learning environments that establish a firm foundation for lifelong learning. 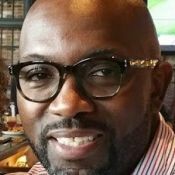 Currently a Master Training Specialist in the United States Navy, Darius is pursuing his PhD in education from Notre Dame of Maryland University. 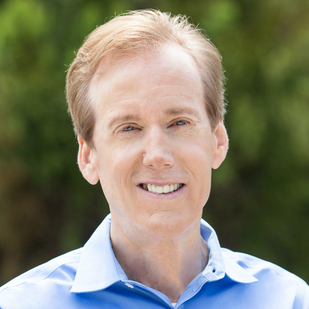 He also holds a BS in health science from California's Trident University International and an MBA in healthcare management from the University of Texas at Tyler. In addition, Darius completed courses in applied science and engineering studies at Michigan Technological University. He is a member of both the National Society of Leadership and Success and the American Association of Healthcare Administrative Management. 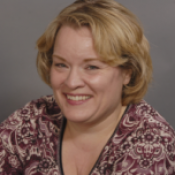 Vicki started teaching math at AoPS Academy Gaithersburg in 2018. She holds a BS in chemical engineering from the University of Illinois at Urbana-Champaign, an MS in chemistry from Bradley University, and works for the Department of Commerce as a Patent Examiner, where she assesses the technical validity of engineering patents. Vicki and her husband live in Gaithersburg, where she enjoys teaching the basics of math, coding, violin, piano, and Mandarin to their two children. Vicki loves showing her students that math is fun! 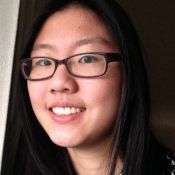 Joyce earned her BS in mathematics from Harvey Mudd College, after participating in several high school math competitions, including the American Regions Mathematics League (ARML) and American Invitational Mathematics Examination (AIME). 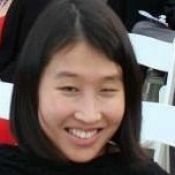 She is passionate about math education, having graded for Art of Problem Solving Online courses since 2011, and also has experience in math and statistics research.